Communities: Serving Brentwood, Franklin, Spring Hill, Thompson Station, Williamson County area, also Nashville, Antioch, Davidson County area, as well as Murfreesboro, La Vergne, Smyrna, Rutherford county. Dianne Clayton’s extensive knowledge and experience in Real Estate provides her with a unique view of real estate market trends the she shares with her clients to help them make the best decisions for their needs and desires. Based in Franklin, TN, Dianne is the expert to help you with all your home buying and selling needs in the Nashville, Green Hills, Brentwood, Spring Hill and surrounding areas. Specializing in everything from First Time Buyer’s to Luxury Homes, Condo’s to New Construction, including Foreclosure / Bank Owned properties, her multi-faceted expertise is of great benefit to her clients. 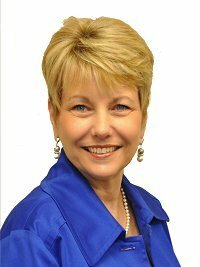 Dianne truly understands the dynamics of the Tennessee real estate market and is an expert at educating her clients so they can make the best decisions for their needs. Dianne uses the latest internet technologies to market and find homes at an expert level. Dianne understands that a home is often the largest purchase a person will make in their lifetime and believe REALTORS must be well educated to provide the level of service and protection client’s deserve. Dianne is constantly furthering her knowledge and has earned the designations of ABR ~ Accredited Buyer Representative, CPRES ~ Certified Probate Real Estate Specialist, CRS ~ Certified Residential Specialist, CSP ~ Certified New Home Specialist, RCS - D ~ Real Estate Collaborative Specialist - Divorce, SFR ~ Short Sale and Foreclosure Resource and others. Dianne believes that education is paramount to exceeding her client’s expectations and frequently attends training in order to stay on the cutting edge of her industry. Dianne understands the stresses and hassles involved in the buying, selling and relocation process and strives to alleviate these concerns for her clients. A first class education paired with years of learning in the field has earned Dianne many awards. While her personal awards are too extensive to list individually, she has been amongst the Top Producers every year for many years. Dianne is a member in good standing of the Robertson County Association of REALTORS ~RCAR, Tennessee Association of REALTORS ~ TAR, and the National Association of REALTORS ~ NAR, in addition to the Middle Tennessee Regional Multiple Listing Service ~ MLS. Dianne feels that being a REALTOR is about more than joining professional associations, she believes REALTORS should be involved in the communities where they work as well: Dianne has served her community in many capacities from 1999 - present. Call, text, or email Dianne today to start making your real estate dreams reality.